Congratulations Daeshin Kim you're the featured Infinity author of the week! 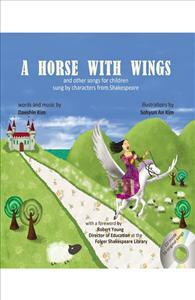 Daeshin Kim's book A Horse with Wings has had great success with children and adults a like. A Horse with Wings has also been featured (with an interview too!) in the July 2013 issue of L.A. Parent, "L.A.'s go-to source for all things parenting!"